Kestrel Talon is a fine bike model with multifunctional purposes. It’s a road bike that’s perfect for training for triathlons as well as for other road bikes needs, like commuting. This level of multifunctionality can help athletes save money, and also allow for non-athletes to try something new without going over budget. Kestrel Talon is one of the few bikes that combine the power for triathlons with that of a regular road bike. The idea is to give athletes a high-powered bike that they can also use for everyday needs. This bike model is desirably affordable, and can be useful in many occasions. We found out amazing things when we reviewed this bike model. 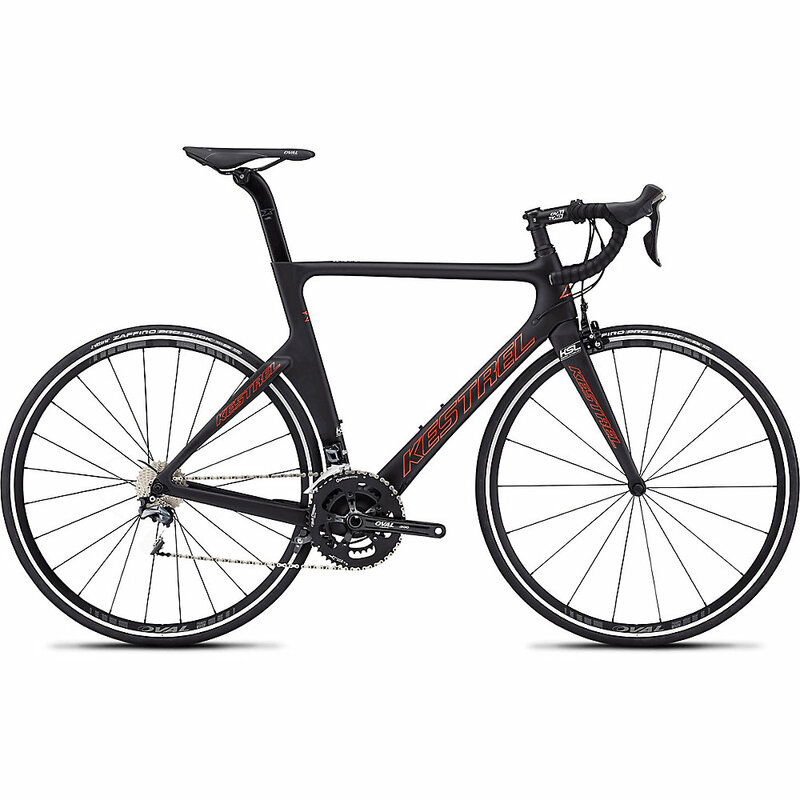 We were amazed that this road bike could manage tri bike speeds. Talons are highly versatile in this regard. This functionality is made possible thanks to Enhanced Modulus Hybrid (EMH) carbon frame. Simply put, it’s a lightweight frame that is also stiff for better compliance. Certain components, like the seat post, seat tube and the stays, are shaped aerodynamically to ensure clean airflow throughout. We noticed how uniquely asymmetrical the seat stay and chain stays were. It gave the bikes more stiffness, we could ride faster, better and more confidently. Remember that we are talking about a carbon frame coming at aluminium frame prices. Plus, the saddle can be mounted in several different positions. If you are going forward or backward that’s not problem. We thought that the bikes could come with storage options, and perhaps easily replaceable breaks. Other than that, we loved this model. We can say that Kestrel Talon is one of the best road bike models you can own. Even if you are not training for a triathlon, this bike has so many things to offer. There are no comparable models for Kestrel Talon currently in the market. This is a highly functional and practical model many cyclists can benefit from.